This is how I feel after 7 days on vacation - Great time, but I sure am tired! I need a vacation to recover from my vacation! 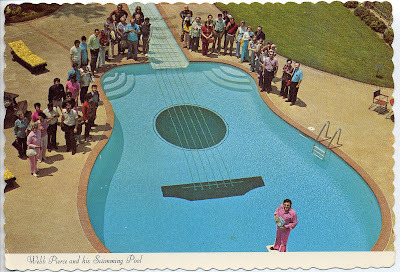 This is an interesting mis-print vintage photo post card. The scene is probably a photo set up at a fair or a studio. I am not sure if the mis print was intentional. Were they leaving space for another photo? Or was it a mistake? 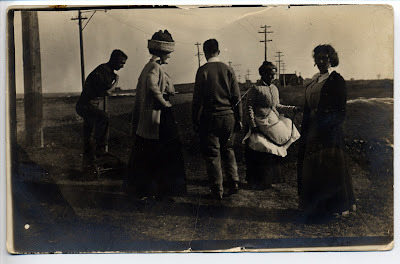 Perhaps someone who knows old photos could weigh in here. The couple looks like the last place they would go would be the beach! What do you think, what's their story? 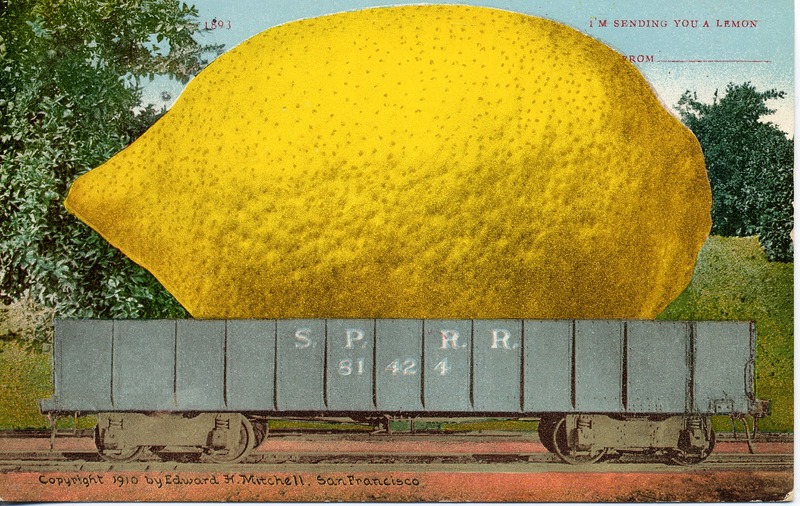 "I'm sending you a lemon from ____________"
Christine from the Daily Postcard inspired me to post a giant fruit card and I found this large lemon postcard in my collection. She posted three giant veggie postcards yesterday. 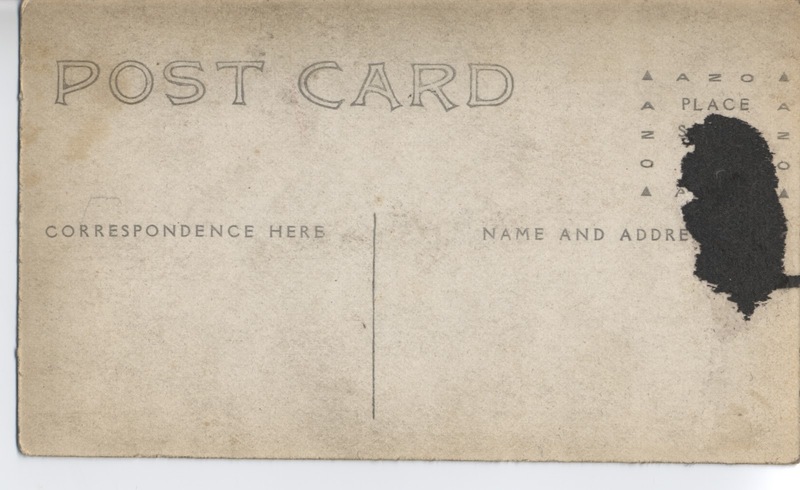 This color card was printed in San Francisco in 1910. 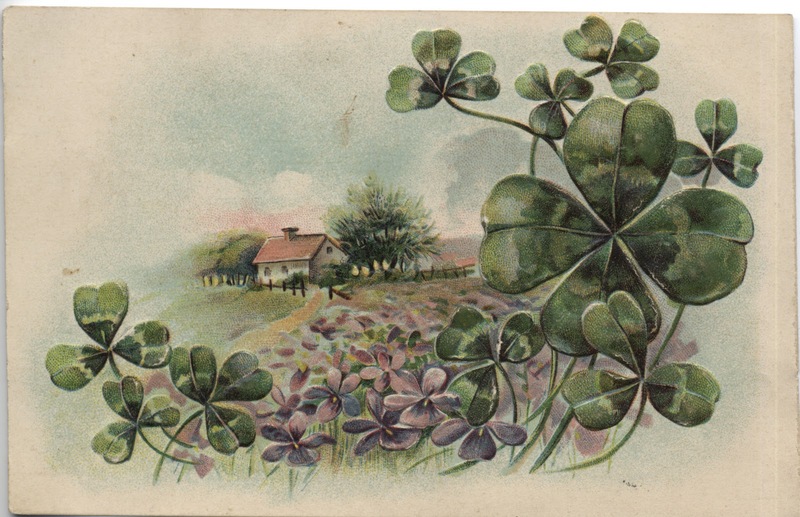 A beautiful shamrock card to start the week - looking forward to St. Patrick's Day. This one is so fascinating! 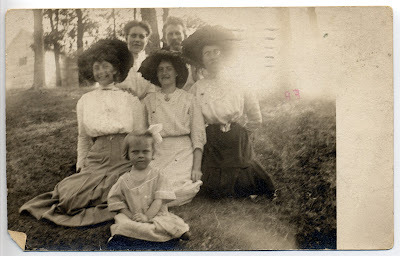 There are 5 adults and one child in this somewhat odd vintage black and white photo postcard. Three of the ladies are in elaborate hats. Notice, there is one man in the back. 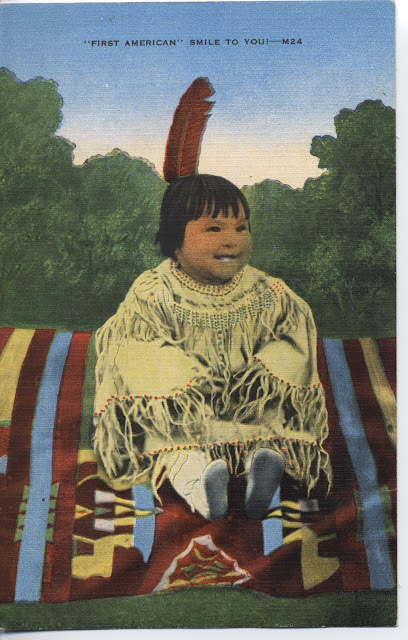 The child looks a bit off - like maybe her head is about to spin. The back lit glare of the sun looks like the "ghost" images found in some photos. What do you think of this bunch? What's their story? I love this color illustration of the squirrel and rabbits playing badminton. It certainly evokes springtime, doesn't it? 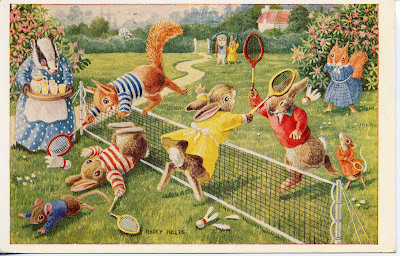 It is such a cute card - The illustration is somewhat reminiscent of Beatrix Potter. It is also similar to the Shopping Kitties card I posted last fall. There is something charming about cute animals doing human tasks. 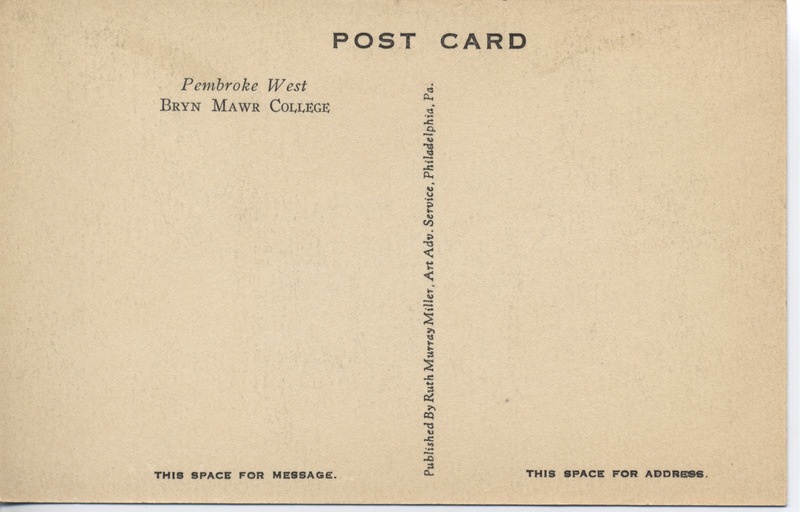 A companion to yesterday's Bruyn Mawr postcard. 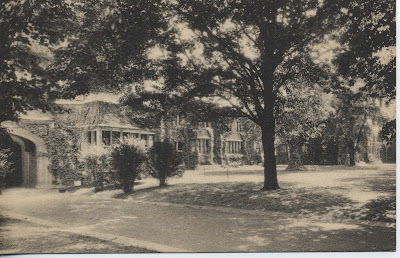 This one depicts a lovely arch on campus in this black and white photo postcard. 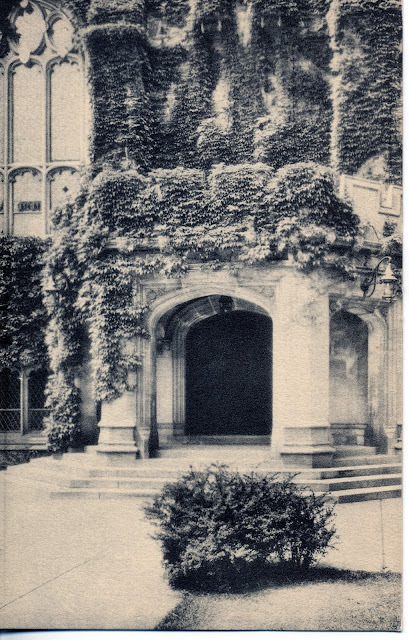 I love the look of the arch and the ivy. I love how mysterious and dark the entrance to the arch looks. It would be a great piece for a collage. To borrow this image for your own artwork, click on the image for a larger view. Then right click to save to your computer. 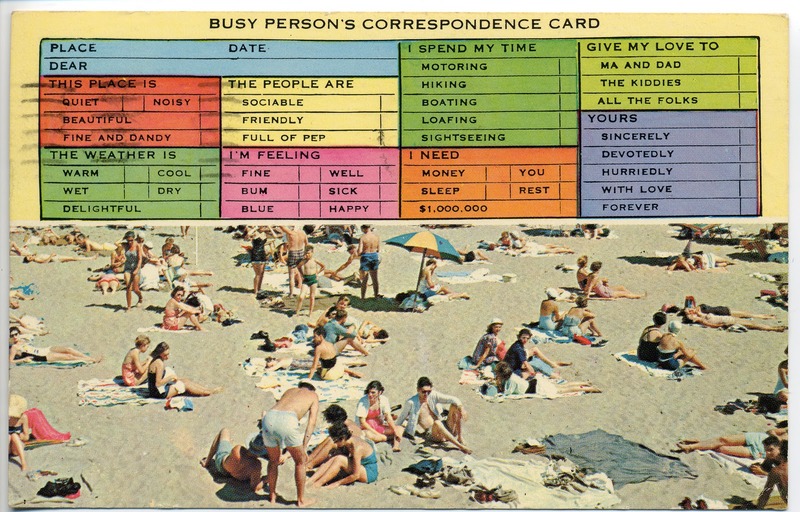 For personal use only, please. I have a lovely collection of black and white Bryn Mawr photo postcards. Perhaps five friends plotting a scheme? Visit Friendship Friday on Beth's blog to check out some more great postcards! Happy Friday! 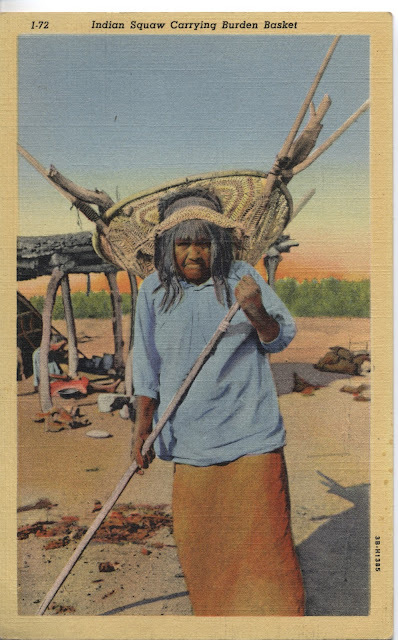 Another Native American post card. This color postcard shows a cute photo of a Native American child. 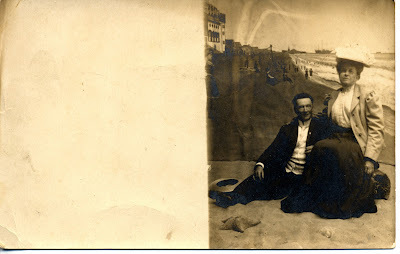 I presume it's a hand colored black and white photograph. 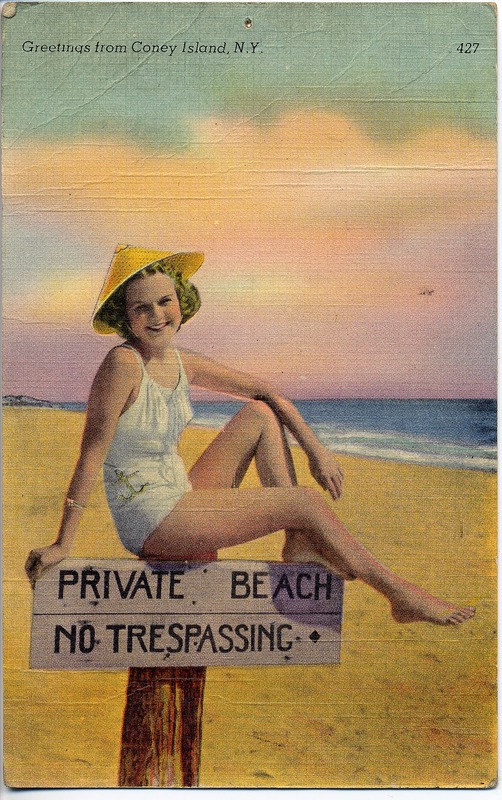 The text says "First American" smile to you! This little guy is much happier than this one! An odd postcard, commemorating a bridge tragedy in West Virgina. Sad, yes. 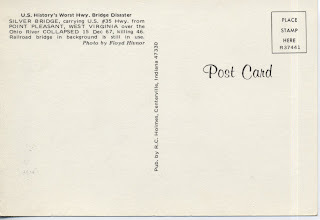 Something use on a postcard greeting? 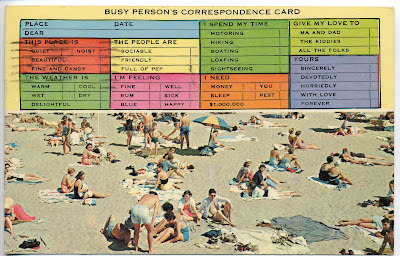 I don't know that I would choose this one off the dime store rack. The back reads: "U.S. History's Worst Hwy. 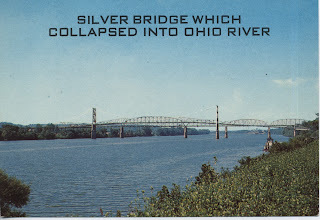 Bridge Disaster SILVER BRIDGE, carrying U.S. #35 Hwy. from POINT PLEASANT, WEST VIRGINA over the Ohio River COLLAPSED 15 Dec 67, killing 46. Railroad bridge in background is still in use." This vintage photo postcard is tiny. 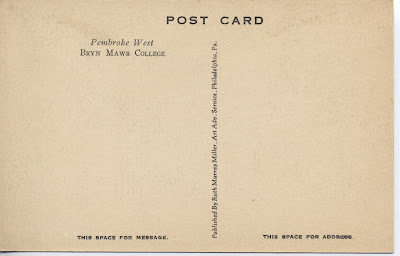 It measures at 2"x4". There is barely enough room to write an address and place a stamp on the back. 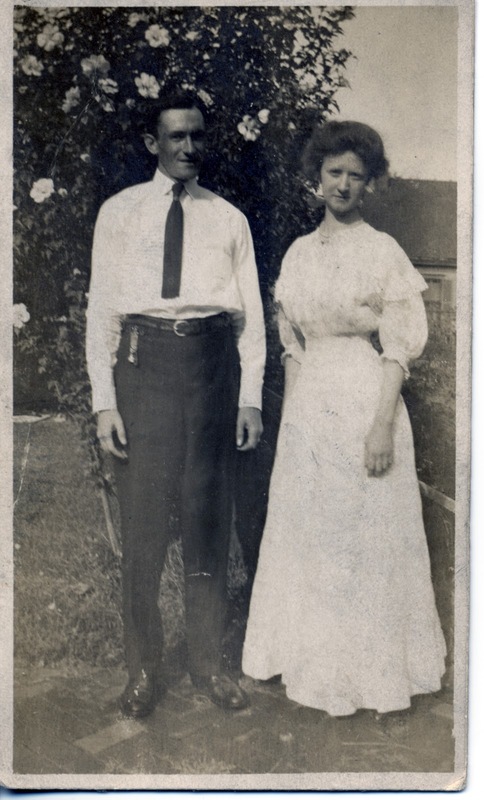 There is no information about this well dressed couple. 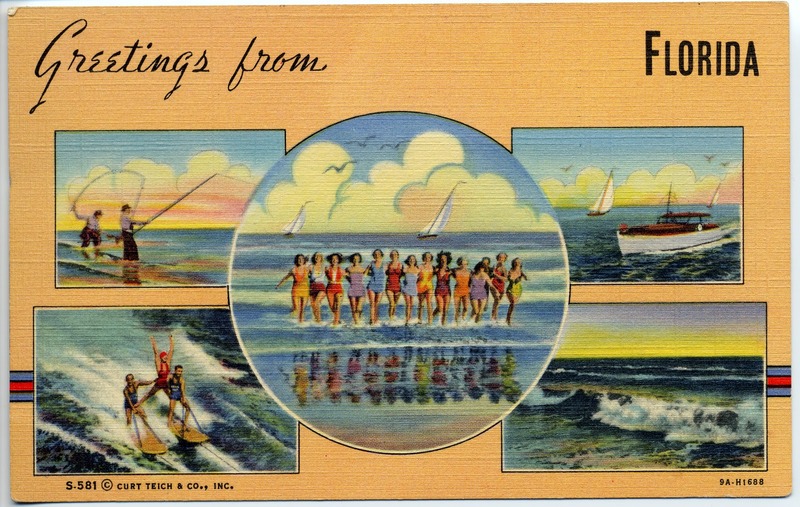 From the looks of the back of this uncirculated postcard, it was once glued to a photo album.